2018 has been a whirlwind, to say the least. There hasn’t been quite as much space between things as I would like, but I’m loving the work I get to do and the messages I get to share. I recently gave a talk as a part of Disrupt Madison. 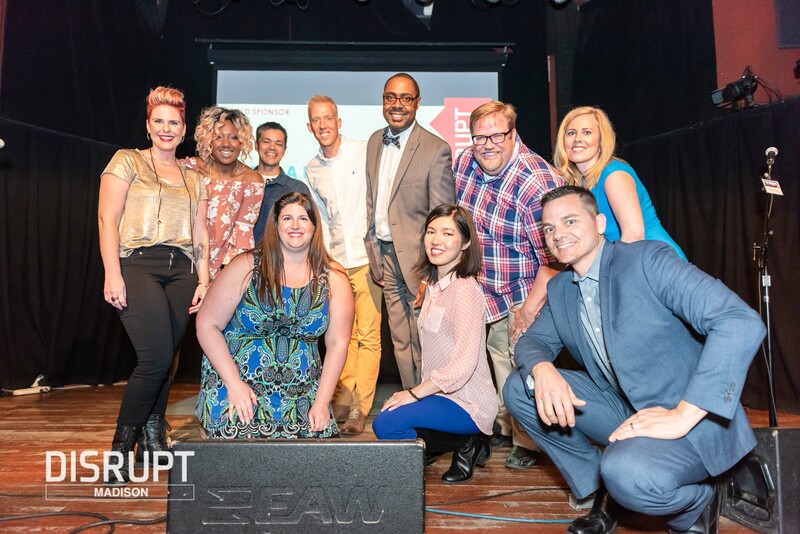 Disrupt started as an event for HR professionals, but has since expanded to incorporate all different types of professionals who want to change and “disrupt” the workplace. 5 minutes for 15 seconds x 20 slides. It’s a lot to pack in–and to be honest, I like the presentation much better in written form than in presentation form. I could explain why, but since I care the most about getting this message out there, I’m sharing both the video and the transcribed script below. The short version: Creativity is important and necessary for our survival. Out of 8.7 million different animal species, human beings are the only ones to actively record images of themselves and of others. Art is the prize of human creativity. Does this message resonate with you? Share why in the comments! What makes us human? In the age of speed, technology, and automation, it’s becoming increasingly important for us to answer this question. I’d like to present a case to you today, that creativity—and art specifically—is at the core of human existence. All species are programmed to create. Birds build nests. Bees design hives. Yet out of 8.7 million different animal species on the planet, human beings are the only ones who actively record our own image and the images and information of others. No other species does this. Art is the prize of human creativity, and it is deeply linked with our ability to communicate, research, and reflect. Yet one of the most enduring stereotypes is that of the starving artist. We have all seen the company campaigns that celebrate creativity and innovation. But our investments don’t match our enthusiasm. We have seen creative learning slashed from school budgets and business’ bottom lines. We have seen increasing pressure for schools to focus on “practical” jobs over the humanities. Do a search for “Artist” on LinkedIn and see how many times the word “Volunteer” pops up. I challenge you to find as many “Volunteer” positions for lawyers and engineers. 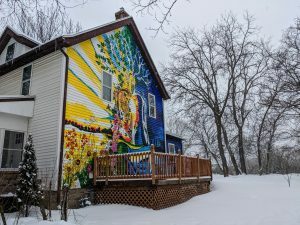 The state of Wisconsin ranks 48th in the US for investment in the arts, spending 14 cents per capita, compared to the $6 in Minnesota and $85 per capita in countries like Germany and France. Meanwhile, the arts contributed $763 billion in economic activity in the US. That’s four times more than agriculture and $200 billion more than transportation. Okay, you say, I’m convinced. Art matters. Creativity matters. But how do we incorporate them into what we do? While there are many ways, I’d like to offer 10 paradigm shifts that make the process easier. Creativity is about identity. What makes a place memorable? Is it those franchise parking lots? In a culture that devalues creativity, that energy will be redirected to whatever people believe is necessary to survive. You will see more people abusing loopholes instead of fixing them; more crime instead of social mobility. Replace “extra-curricular” with co-curricular. Co-curricular means that creative and logical endeavors are partners, not enemies. No part of the brain operates in isolation, just as no company can survive with workers operating in silos. If you have a $1000 pocket computer that will last 2 years, you can justify spending on the things that will become family heirlooms and the landmarks to last a lifetime. Form follows function, and function follows form. We have all seen how systems can dictate rather than facilitate human behavior. Put art and design at the forefront of your organization, not just as an afterthought. Creativity is about stewardship. How we take care of our shared spaces says a lot about our community. 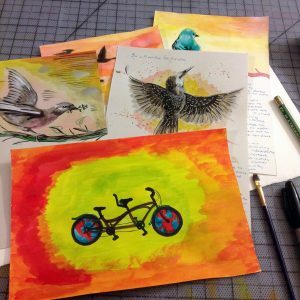 Your art (or lack thereof) is an expression of stewardship. Go beyond using the arts for company advertising. Just because you’re a cheese company doesn’t mean you can only have pictures of cheese on your walls. True creativity comes from leaving your comfort zone. Eight. Listen to the messengers. Artists are often the people who see things differently. Make it easier for them to give you feedback and solutions. Listen without assumption. Creative leadership matters, and creative labor matters. Hire creative people at all tiers of your organizations, and then trust them. Creativity requires autonomy. It does not thrive under strict order. Creativity is about connection, and like all other muscles and skills, it requires exercise. The more we practice creativity, the better we get at it. And when you strengthen one muscle, you strengthen all the ones surrounding it. So I invite all of you to join me on this challenge. Do you believe that you can set a precedent? If so, how will you transform the environments around you? How will you cultivate your own creativity and that of others? Remember that the entities that change us for the better will not be the ones who deliver products the fastest or the cheapest. They will not be the ones who monopolize our attention while dividing our priorities. But they will be the ones who can focus us on what makes us healthy and makes us whole. They will be the ones who leave a record on this earth that anyone of us would be proud to call our own. Thank you to the organizers of Disrupt Madison, Laura Gmeinder and Coreyne Woodman-Holoubek, for inviting me to be on stage.